Andrea Dovizioso’s delight at snatching a last-gasp third place from compatriot Marco Simoncelli in Estoril yesterday was tempered somewhat by the heavy defeat suffered at the hands of Yamaha. The Repsol Honda rider denied Simoncelli third by just 0.059s after a fantastic race long battle but he was over 25 seconds adrift of race winner Jorge Lorenzo on the Fiat Yamaha. But he said the smoother engine characteristic of the YZR-M1 and Yamaha chassis performance helped Lorenzo and Valentino in low grip conditions after a weekend blighted by appalling weather. 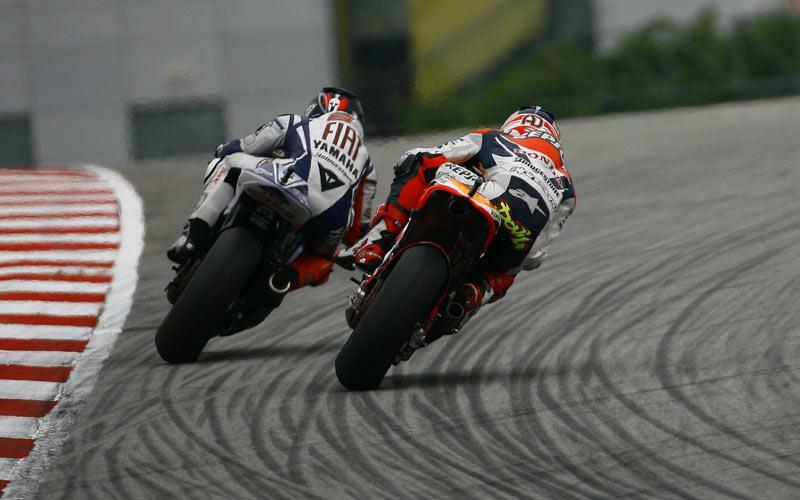 The former world 125GP champion said “In this track Yamaha was better than us. All the Hondas struggled a lot with the front tyre. "A few characteristics of the Yamaha in those conditions mean it is easier for them. But sure not 25 seconds better though. Full full coverage of the Estoril race and Dovizioso’s thoughts on his late attack on Simoncelli, see the November 3 issue of MCN.